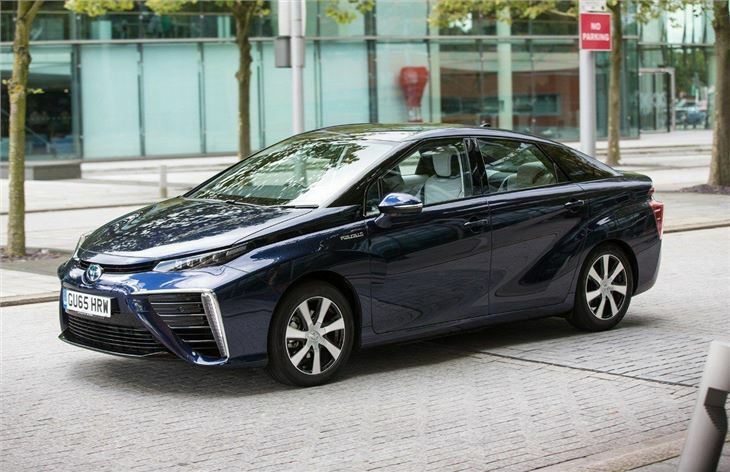 The first serious production hydrogen fuel cell car. Very quiet, pleasant and relaxed to drive. Very expensive to buy at £66,000 (before any government grants). The hydrogen-powered Toyota Mirai is the future, quite literally – that’s what its name means in Japanese. However, it’s incredibly expensive at more than £65,000 and it’s not going to sell in big numbers – just a dozen or so cars a year in the UK. Instead this a showcase of how hydrogen fuel will work in years to come. And it’s seriously impressive. 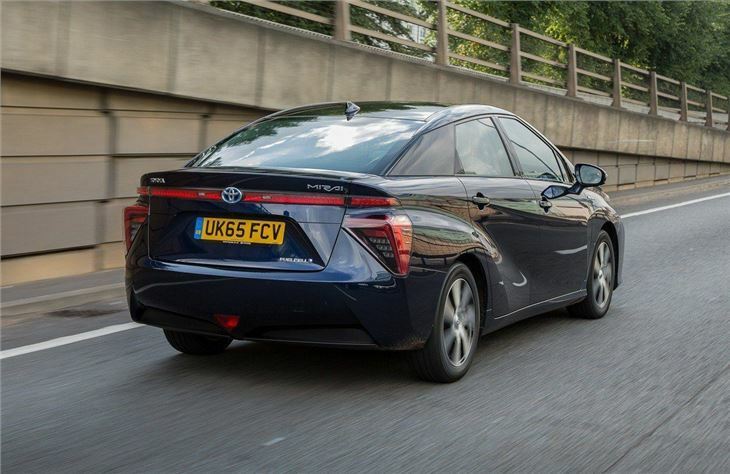 Filling up the hydrogen tank (or tanks, there are actually two linked together) takes a few minutes and gives a range of more than 300 miles. Unfortunately, there are barely any places to fuel up with hydrogen, but Toyota hopes the infrastructure will come if the cars are made. It’s so dedicated that it has made most of the patents for the Mirai freely available. Despite its radical styling, the Mirai is incredibly easy to drive, with an automatic transmission, comfortable suspension and excellent refinement. The drive system makes a faint whir, but it’s so quiet the engineers have had to work hard to soundproof the car from other noise, like tyre roar and wind rush, with impressive results. Performance is good – peak power is 154PS and torque is 335Nm, available from zero rpm. 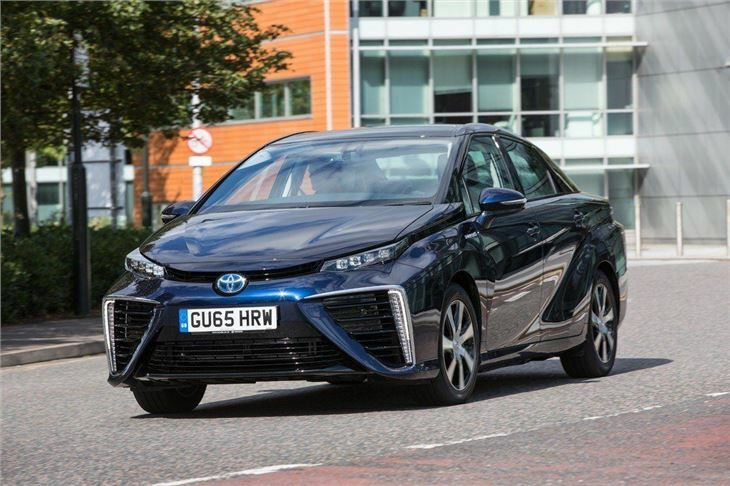 Since there is no gearbox, acceleration is seamless, giving the Mirai great pace away from traffic lights. Since its only emissions are water, it falls into VED Band A and is free to tax. Space is reasonable, although there are only two rear seats and taller back seat passengers will struggle for head room. Additionally the boot, while a decent size, isn’t as big as you might expect. 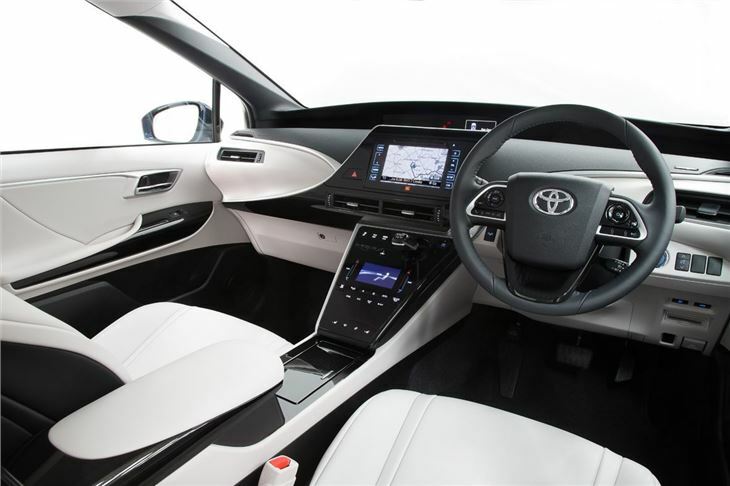 On the plus side, there is plenty of equipment including a heated windscreen, heated steering wheel and heated seats, as well as leather upholstery. 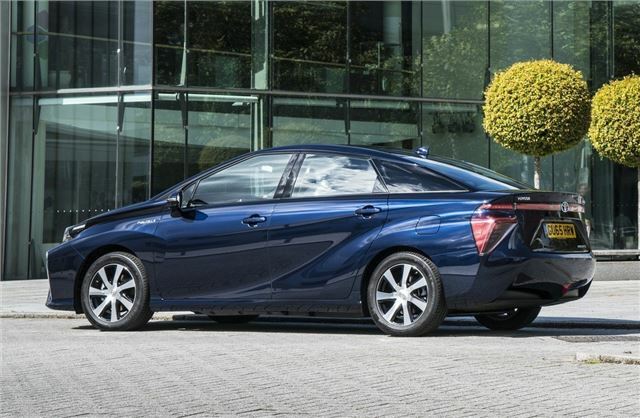 Price and infrastructure aside, the Toyota Mirai is a very convincing car. 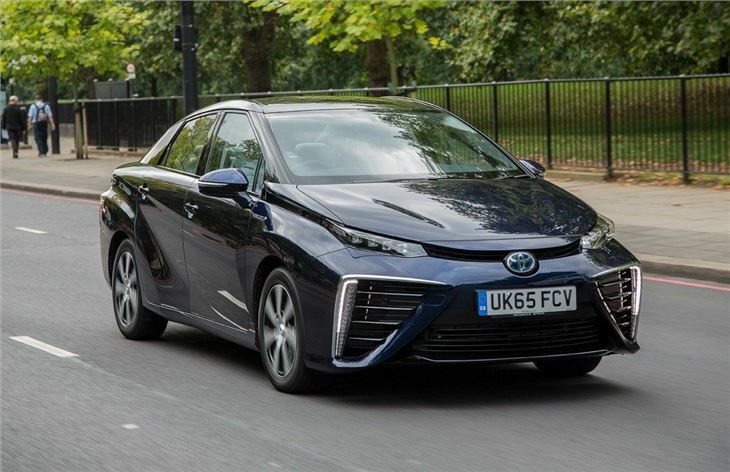 With a bigger network of filling stations and a lower purchase price – which will come with mass-production – there is great potential for the Mirai and cars like it as an alternative to range-restricted, slow-charging battery electric vehicles.